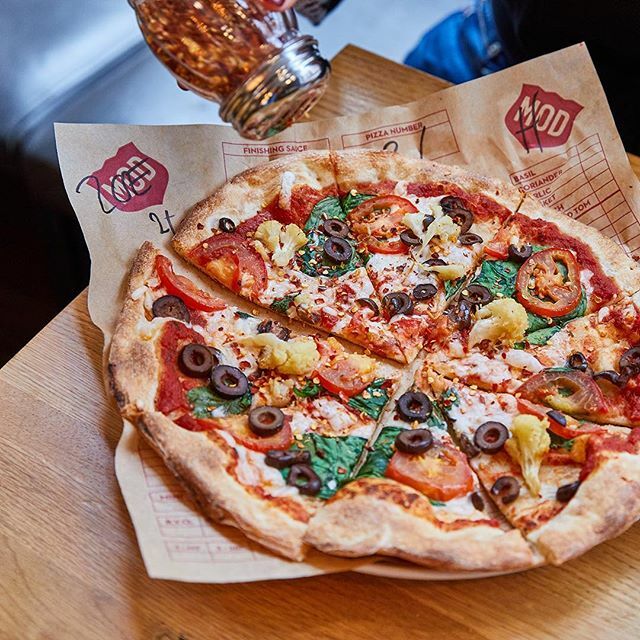 Founded in Seattle in 2008, MOD serves up individual artisan-style pizzas and salads with unlimited toppings, all for one price! Visited with my daughter and we both loved it. Pizza was delicious, all staff were friendly and helpful and we didn't feel rushed. Great value too, would definitely visit again. It was a bit of a shambles really. I’d booked a wheelchair accessible table for 10 people. When we arrived, I asked about our booking and was offered a menu and asked, ‘Is this what you want?’ I explained again and was sent to the counter, who directed me back to the person I spoke to originally. Eventually the manager came and directed us to our table downstairs. I explained that I’d booked a wheelchair accessible table so needed it not to be downstairs and he acknowledged that yes it was noted on our booking but that he’d forgotten. He then asked us to wait while he asked people to move from other tables so that we could sit down. 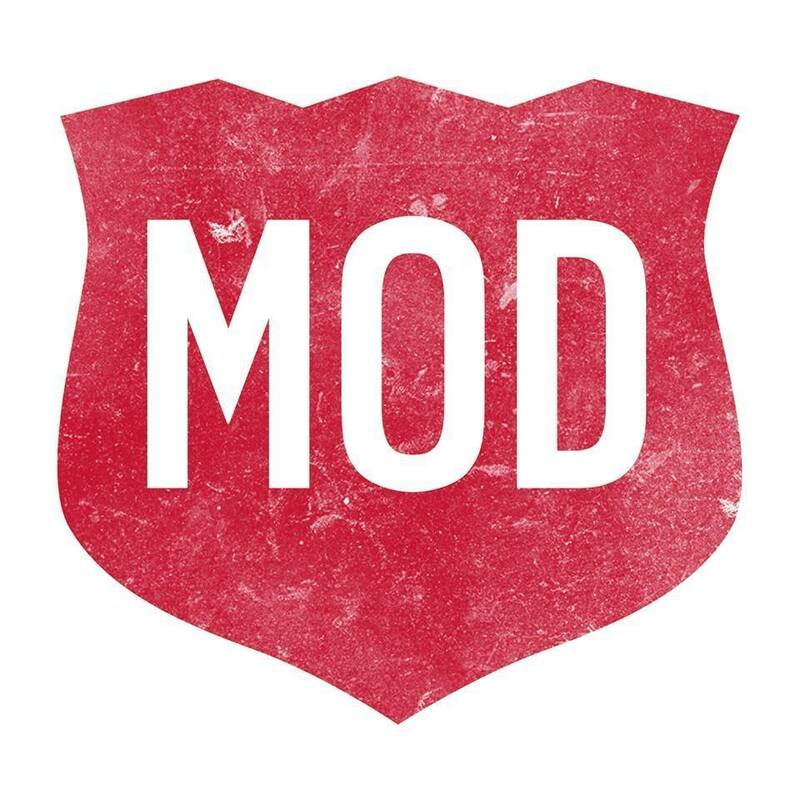 I do appreciate that mistakes happen but as this was my first visit to MOD, it wasn’t a very good first impression and didn’t suggest a very disabled friendly restaurant. I would say that I was impressed with the vegan options though, and my pizza was yummy. Another comment is that there was no signage to the toilets from downstairs. Not quite what I expected (more fast food than restaurant) but the pizza was the best I’ve had in years! The server on the ‘till’ was also super helpful and explained the process really well- didn’t catch her name but she had a beautiful cherry blossom tattoo on her upper arm which I asked to see!! Definitely returning! Fantastic experience ! The kids loved it. The food was high quality and prepared quickly. Had a really nice welcome - the staff were really friendly and attentive- Thank you! Super tasty vegan pizzas with loads of toppings! Friendly staff too. Please open a Mod in my home town, Shrewsbury! Amazing fresh food, will deffo be back! 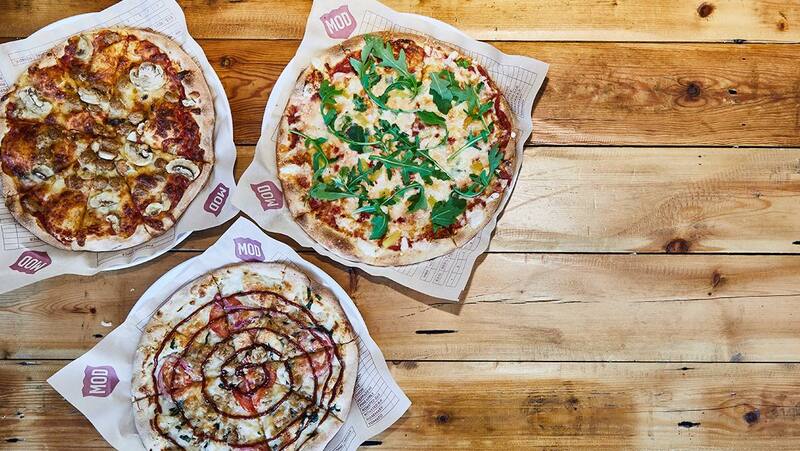 Really tasty pizza that's fully customisable and pretty good value for money - what more could you want? Great little lunch spot. I'm vegan and the selection of veggies and sauces for the pizzas was amazing. Excellent value for money and good quality food. Great concept and loved the fact that you could build your own pizza without fear of being ripped off by the price of extras. Would definitely eat here again. Absolutely fabulous. Huge pizzas excellent salads, quick service and the price, well such good value for money. Would definitely use again when visiting London and no hesitation in recommending to others. Took absolutely ages to ordee. Mine and my husband's pizzas came a long time before my daughter's. My daughter's pizza didn't have the barbecue swirl she requested. We ordered dessert afterwards but one of the waiters took away our table number device before the desserts arrived so they took ages too. In the end we had to take the seats with us and eat them in our way to the theatre or we woyod have got there in time. Appreciate that it is a very busy restaurant, but it did seem very chaotic. Very cheap (£10 a serving) and excellant meal. It took a while however to work out how to be served- it only become apparent that you have to queue to give your order (MOD could do with putting a poster up to explain the process to customers), and although I had booked a table for 2, there were none reserved as such -so you ended up finding a seat somewhere.